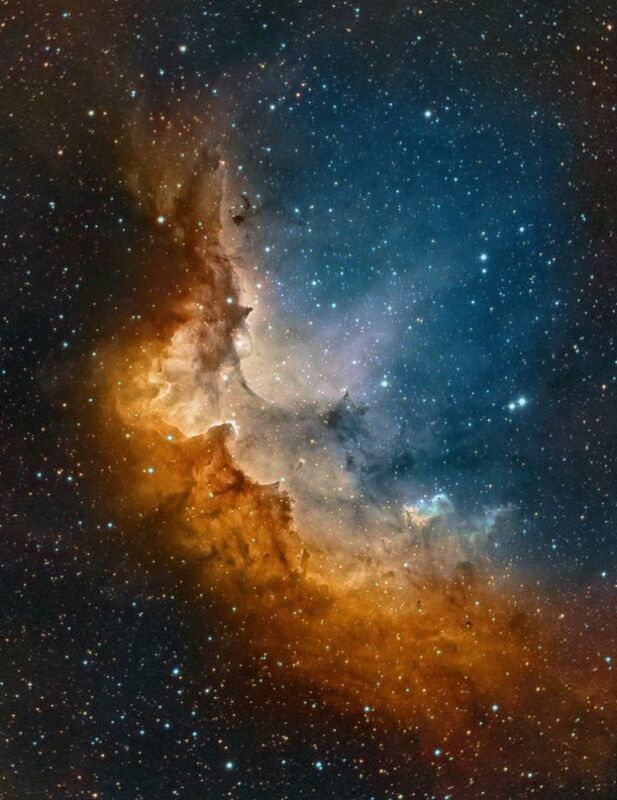 Located 8,000 light-years away from Earth in the constellation Cepheus we arrive to an open star cluster NGC 7380, or more famously known as the Wizard Nebula. This young cluster is about 4 million years old and is a many light years wide. The color red or orange is a signature of the element sulfur, green is hydrogen, and blue is oxygen. The cosmic gas is moving towards us at 34 km/s. The bright star you see on the right of it is binary star HD215835 (DH Cephei). 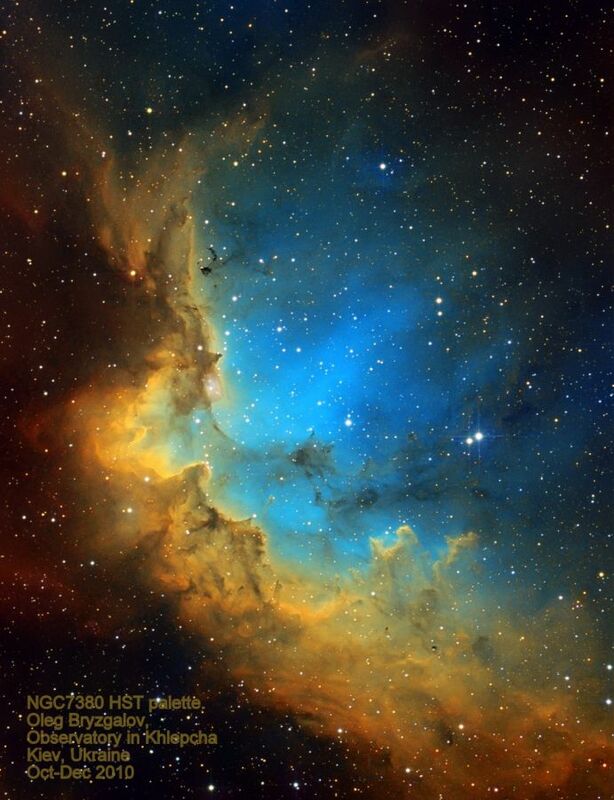 It’s one of the main reason the nebula is illuminated as well as ionized. The solar winds from the star also contribute to carving out the magical shapes you see before your very eyes. 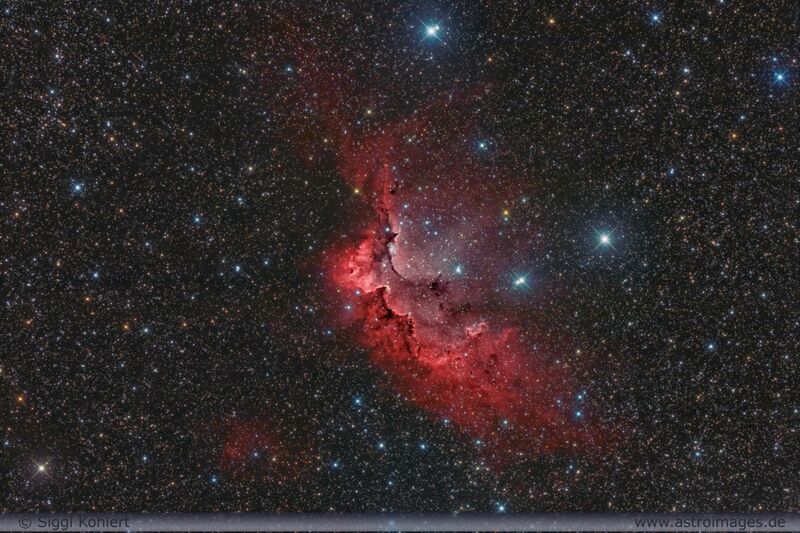 Let's take a look at the Wizard nebula located 8,000 light years away from Earth in our Milky Way.